The Club Maritimo de Sotogrande is a beautiful hotel situated by the Sotogrande Marina overlooking Gibraltar, Morocco and the Mediterranean Sea, alongside some of the best golf courses in Europe. 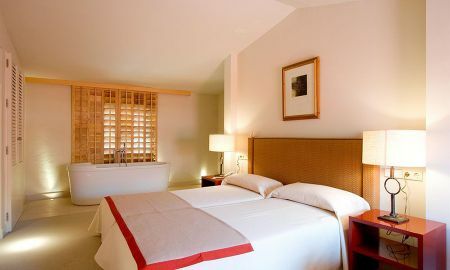 The hotel has 2 restaurants, one offering snacks and tapas and the other tasty Mediterranean cuisine. The Club Maritimo de Sotogrande has modern, yet cosy interior design offering an inviting place in which to rest and relax.